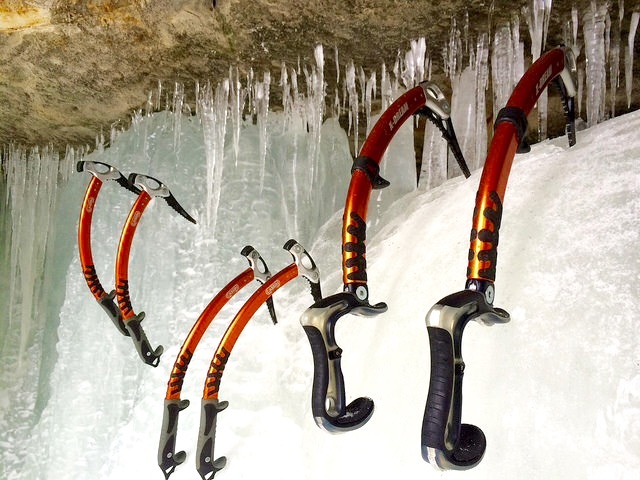 The ‘X DREAM’ models, while I’m not over fond of the name, represent a super-modular system for steep ice, mixed technical terrain and dry/sport tooling. On the top end you have a series of interchangeable picks. My ‘testers’ came with both Mixte and Ice picks. 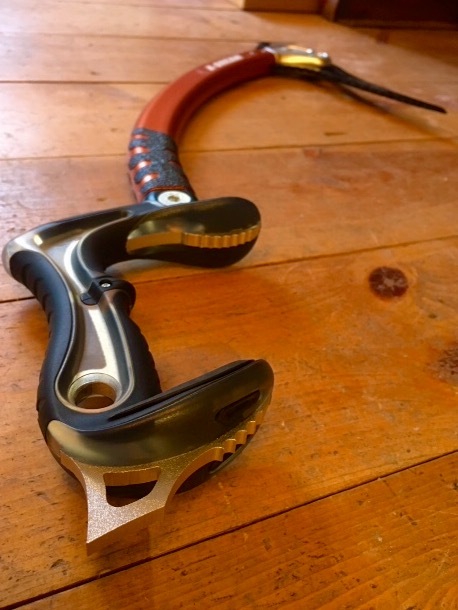 Also available is a Race (comp) pick, and although I have earned an X Games medal in competition ice climbing (it was so long ago we wore leases), race pick not tested. All are T-rated (B picks vs. T picks), and I was very pleasantly surprised at how well the stock Mixte pick climbed ice. Each pick varies slightly in down angle, more relaxed for ice, and steeper angulation for Mixte and Race. 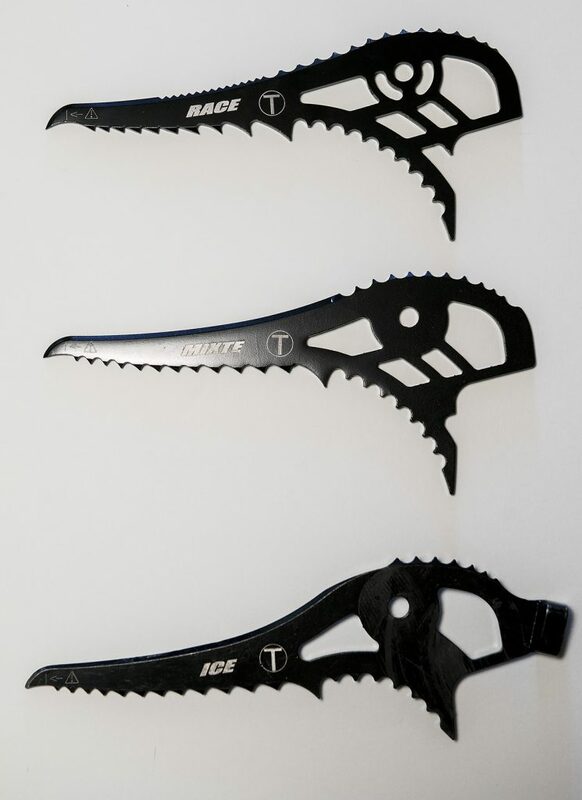 They also vary the top edge and throat serrations on each pick to optimize the stability for the varying terrain. The clean lines and light weight of the X DREAM make it easy to like, and just as easy to grip! 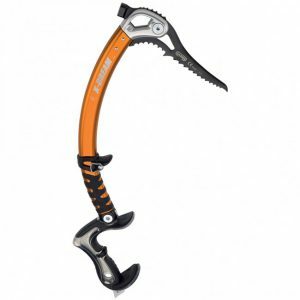 And the X DREAM ‘ALPINE’, all the luxuries of its sister with a minimal hammer, field fast adjustable 3rd pommel, and deeper, more aggressive heel spike for improved plunging in the Alpine. Con- 30 grams and $20 more at retail. The handle angle can easily be adjusted 15 degrees from Ice to Dry which makes a considerable difference to the swing and pump factor, in a positive way, when dialed in for the appropriate terrain. I found these tools had a natural and easy swing with the Ice picks installed. With the Mixtec pick on I had to modify the end of the swing a little to set a good pick, but they still worked great on most steeper ice. The advantage was a little less pick shift and wobble on steep and overhanging rock. Ultimately the beauty for me in these models is the ability to dial in your tools for any given day or route. Hand size is also addressed with a removable rubber gasket under the pinkie for larger hands, and a number of less-critical adjustments on the trigger finger portion of the grip can be dialed into hand size or even glove specific use. 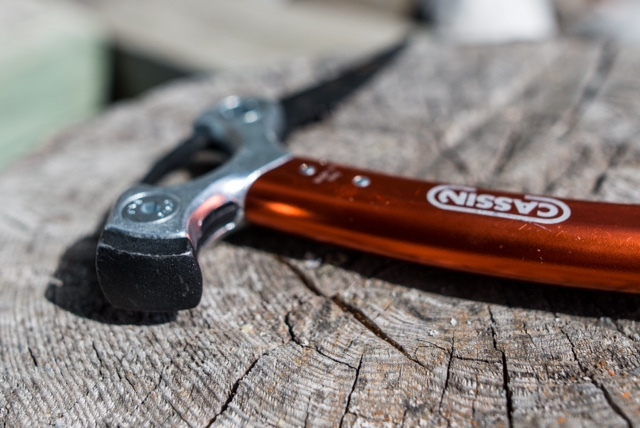 The hand grip and shape are some of the most impressive features for me as a user, they’re hard to fall out of. I have large hands and thought the overall grip size was just about perfect. With a bigger glove I find my Nomics can feel a little restricting. But with that said, I found a number of my female clients loved and could handle the grip well. The lack of weight for what is a super tech tool is also a big bonus, especially for the none firefighter/carpenter ladies. The X-Dream comes with an adjustable and removable, 3rd pommel that is easily adjustable along the upper reaches of the shaft. 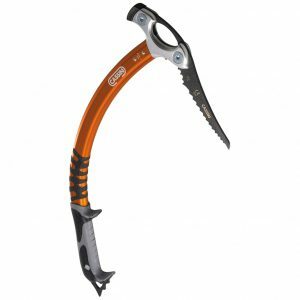 Handy for those few extra inches of reach on rock or dry ground. I found it to interfere with clearance on some of the more fluted or cauliflower ice, but again super dial-able. Mega Modular. Light for such a tech tool. Fairly natural and easy to swing. And a wide ranging fit/hand size. Hard to find faults really. The lack of weight, though mostly a benefit, may be what leads to the flexing shafts when aggressively torquing on rock. I don’t believe it’s a strength issue but the slight bending can be disconcerting. 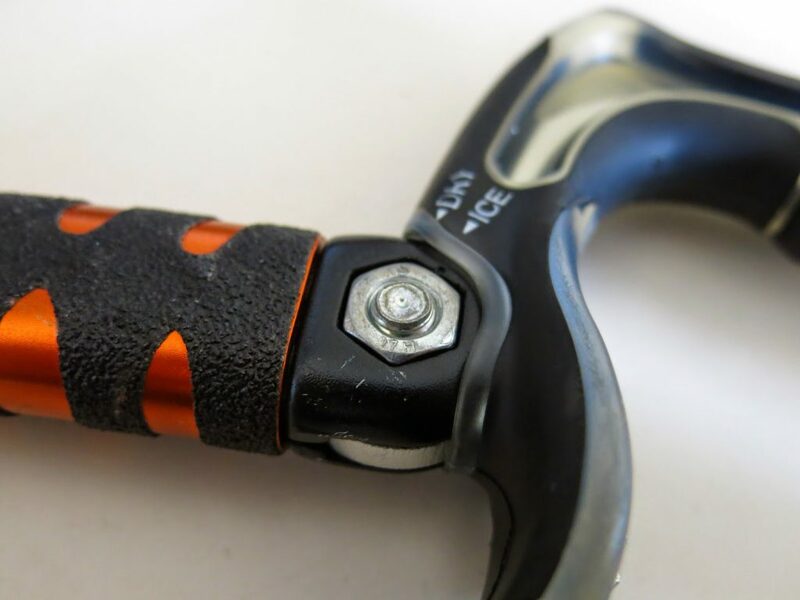 The clip in point at the base of the grip does not take a small biner well, for instance using a tether. But a small loop of tied cord fixes that. 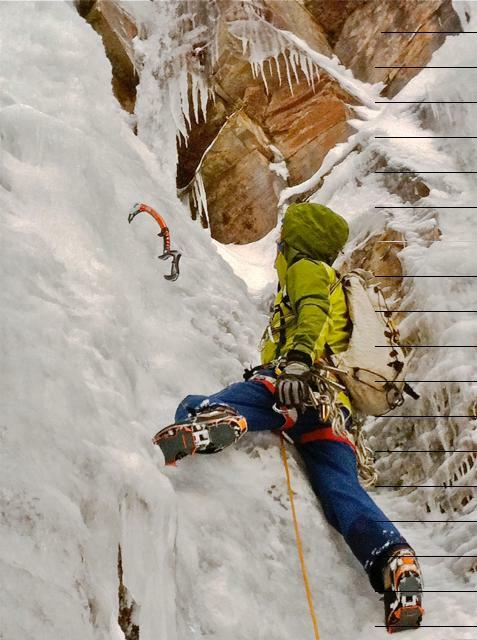 As seasoned ice climber, guide and instructor here in the mini mecca of Ouray I get to swing a lot of tools… but the X-Dreams have become my go to choice machinery for anything, and everything, steep, be it rock or ice. Gary Ryan is a Mountain Guide & the Founder of the Guide Garage, an Alpine Touring, Tuning and Test Center in Ouray, Colorado.